A set of creative Superhero can-heads by Play-Doh. 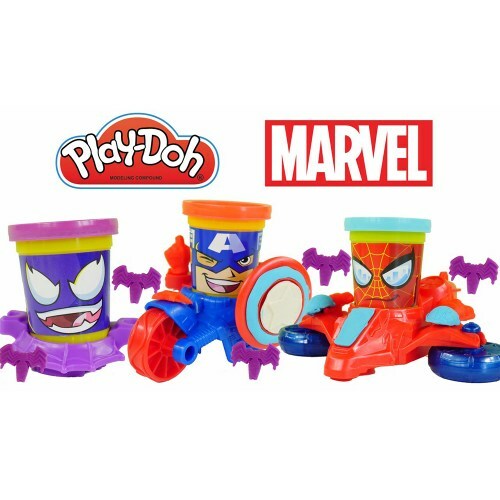 These fun, creative play-doh superhero can-heads are the perfect way to let your childs creativeness and imagination run wild! Recreate your marvel super-hero battles with your awesome can-to-can combat featuring Captain America, Spiderman and Venom, all fighting against each other with their motorcycle and jet. Play-Doh has never been so much fun!